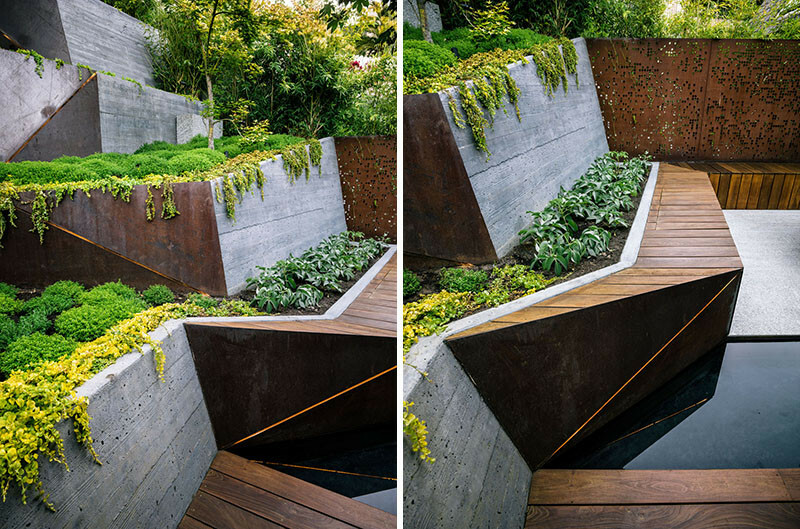 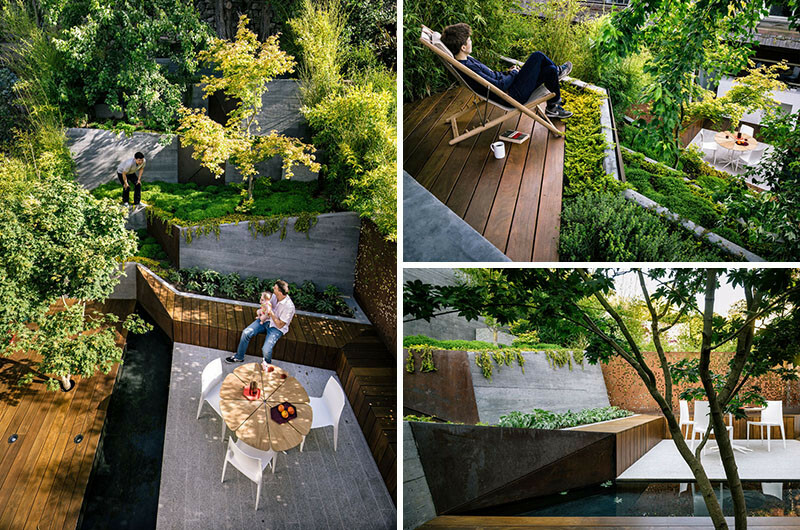 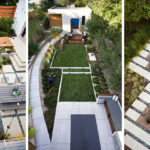 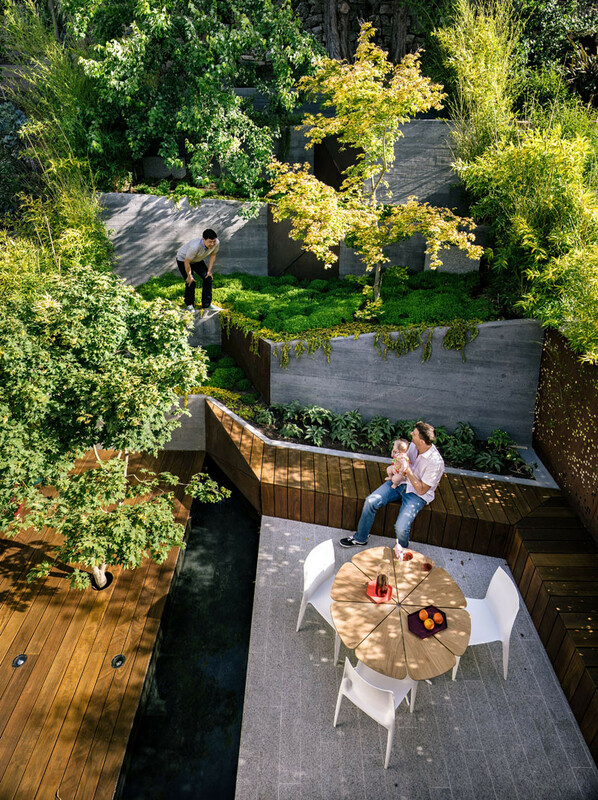 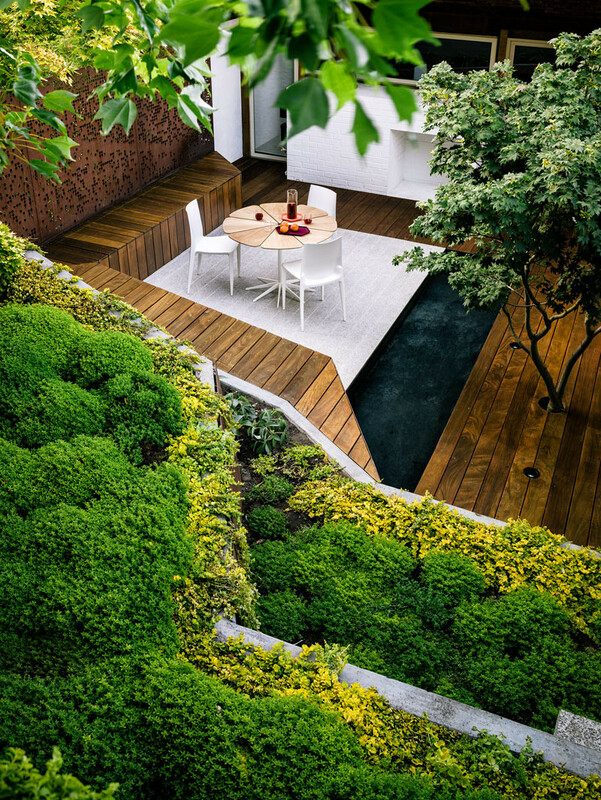 The backyard is only 23’ wide and 50′ deep, however, the backyard has a 17′ elevation change, making some creative thought a necessity. 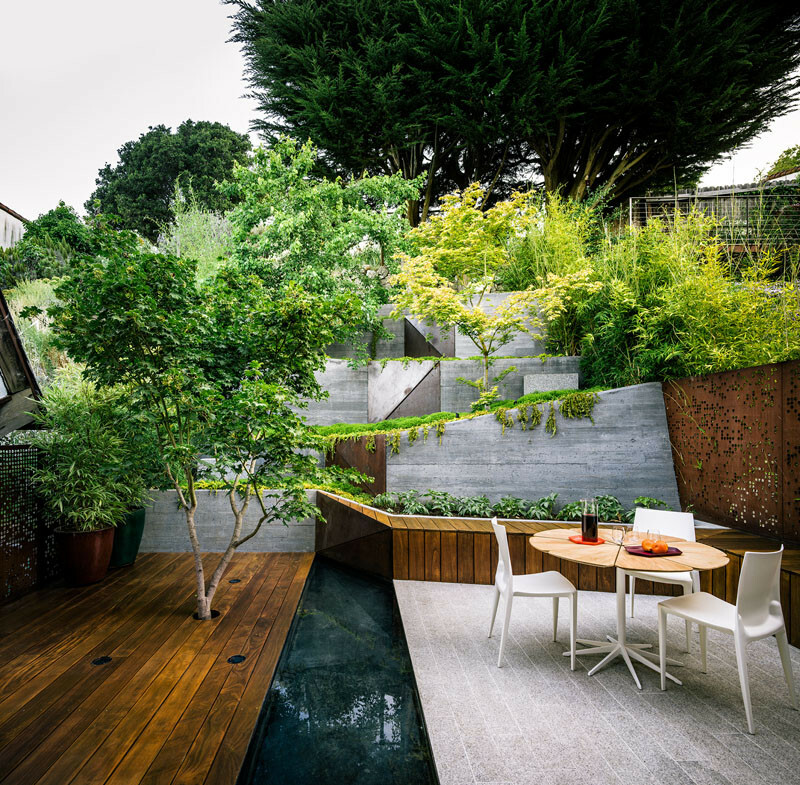 The owners wanted a space for outdoor seating and an entertaining area, that would be close to the house, as well as an accessible seating area at the top of the garden. 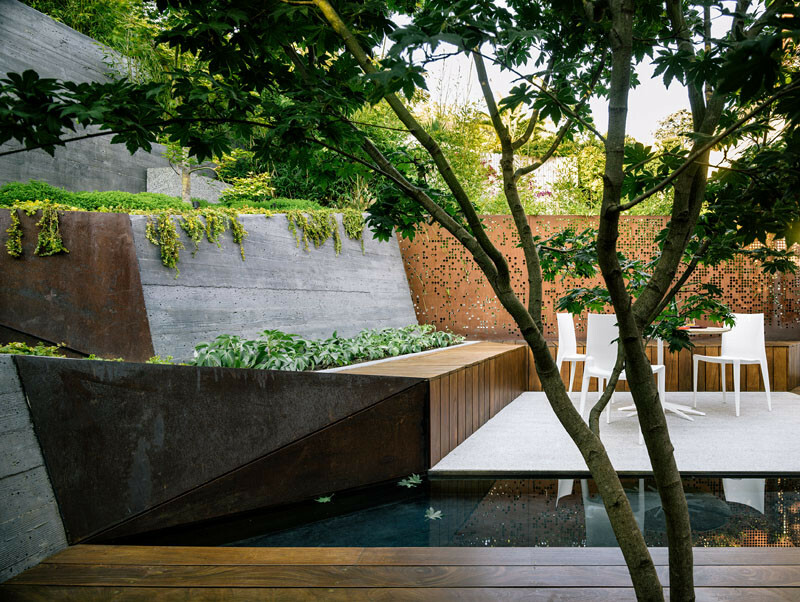 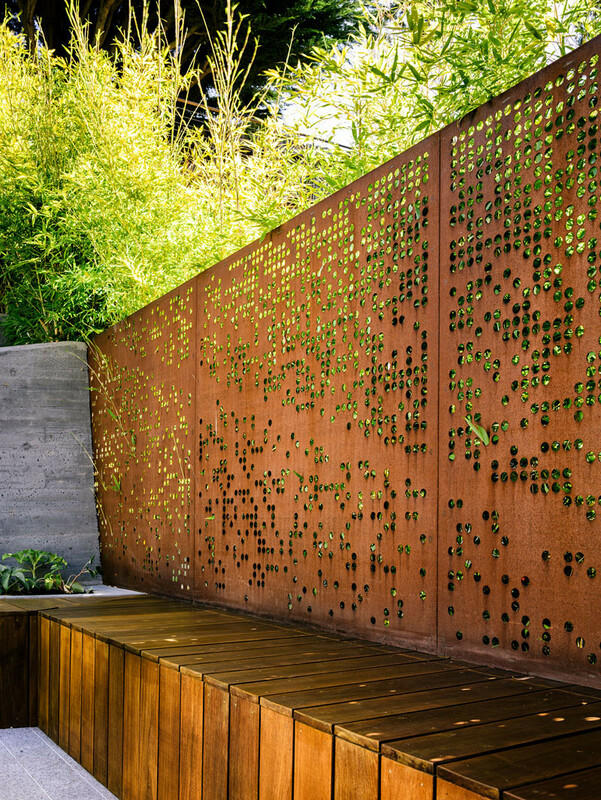 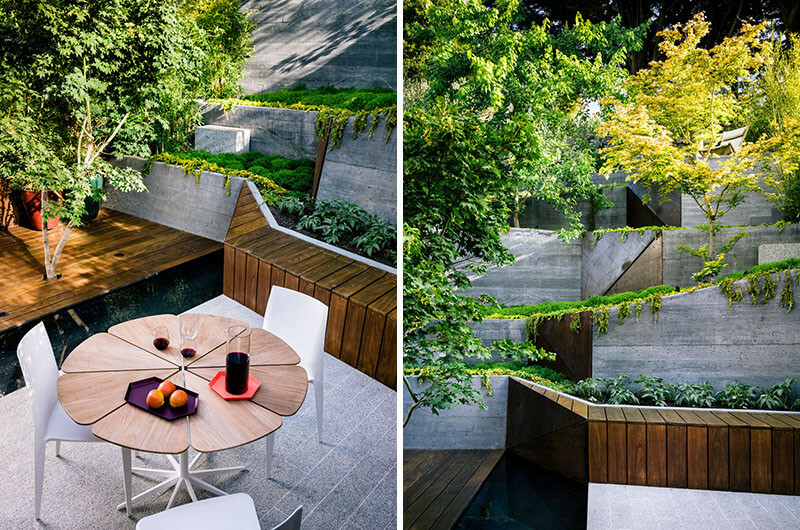 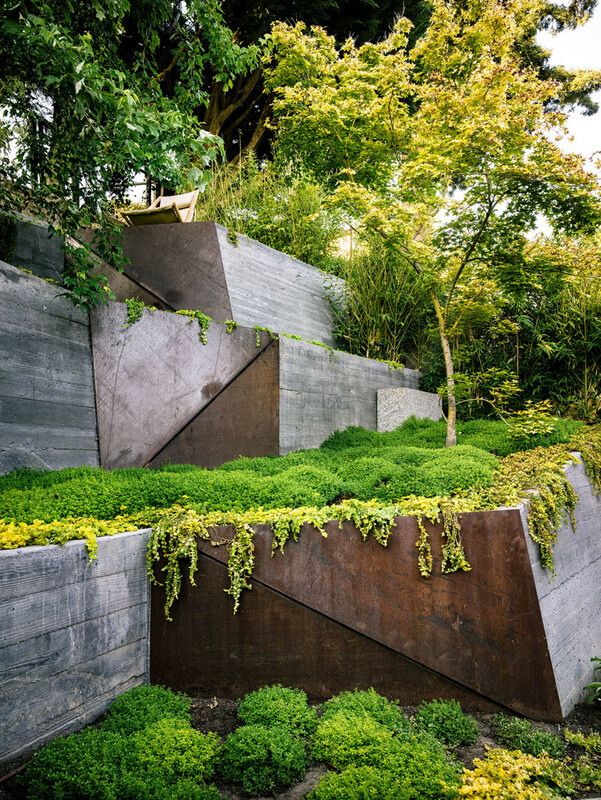 Taking inspiration from Japanese design, the garden aims to use light and shadow, water reflection, material weathering and material texture as design elements. 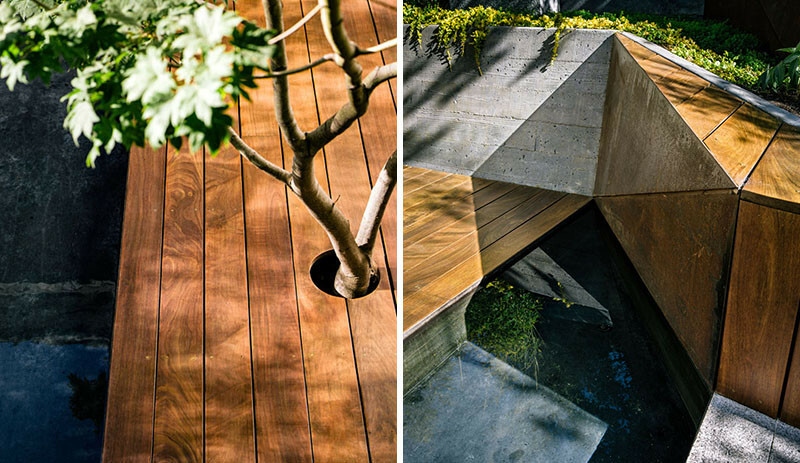 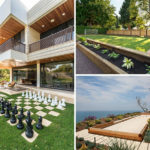 Ipe wood decking and benches, a floating white granite patio, a reflecting pool, board-form concrete retaining walls, and weathering steel, have all been included in the design. 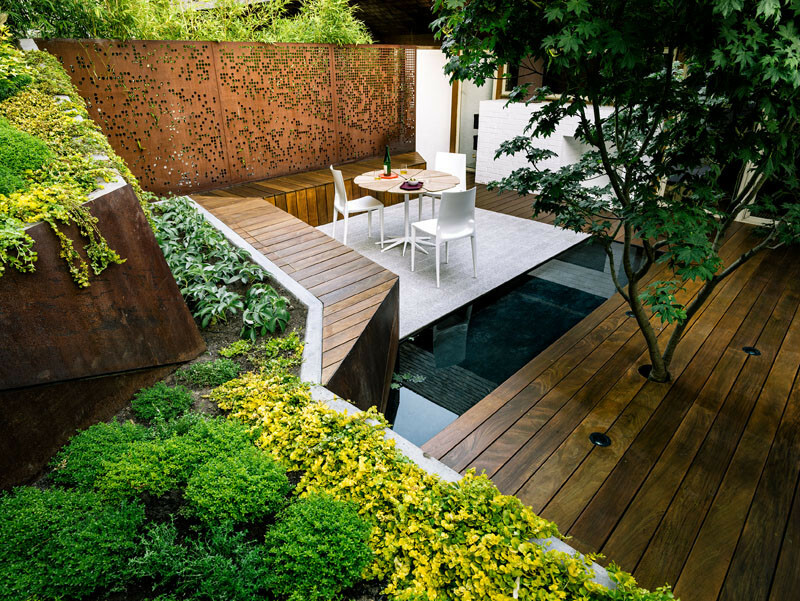 Plants like Japanese maples, aromatic lemon thyme, creeping jenny and Koi bamboo, all feature within the garden. 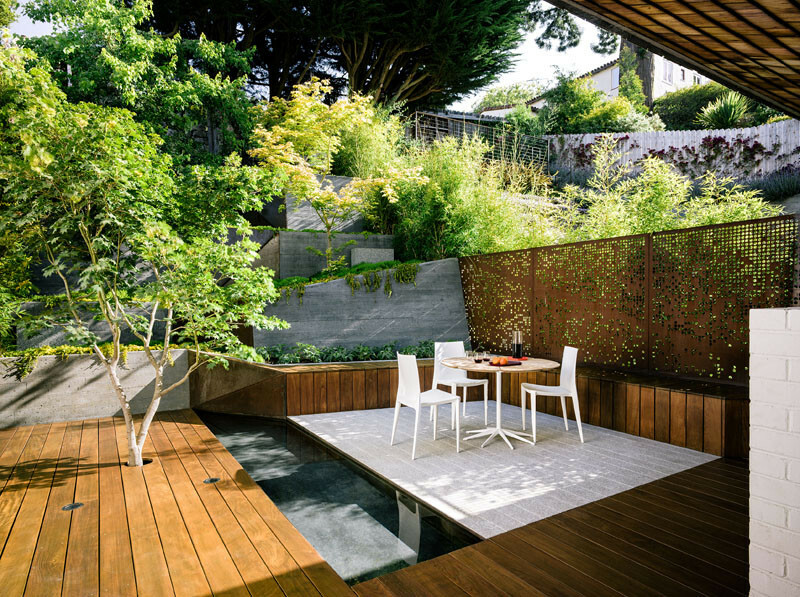 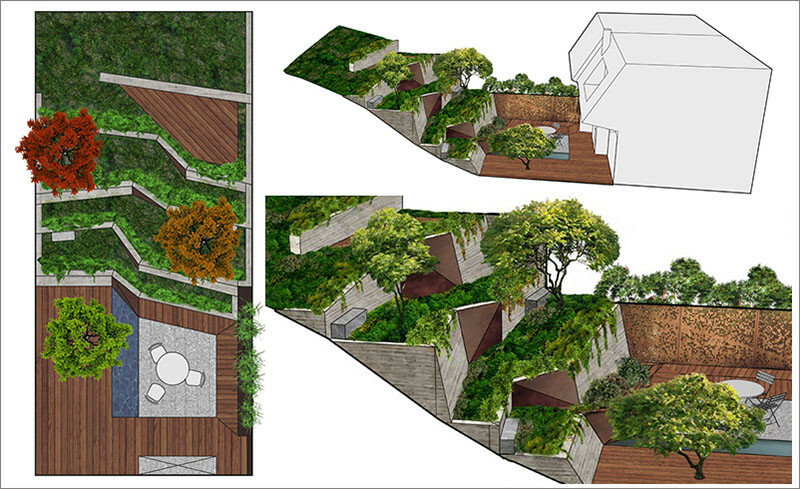 The 400 sf lower patio area, located at the base of the site, is located on the same level as the living room, allowing seamless extension of their living space. 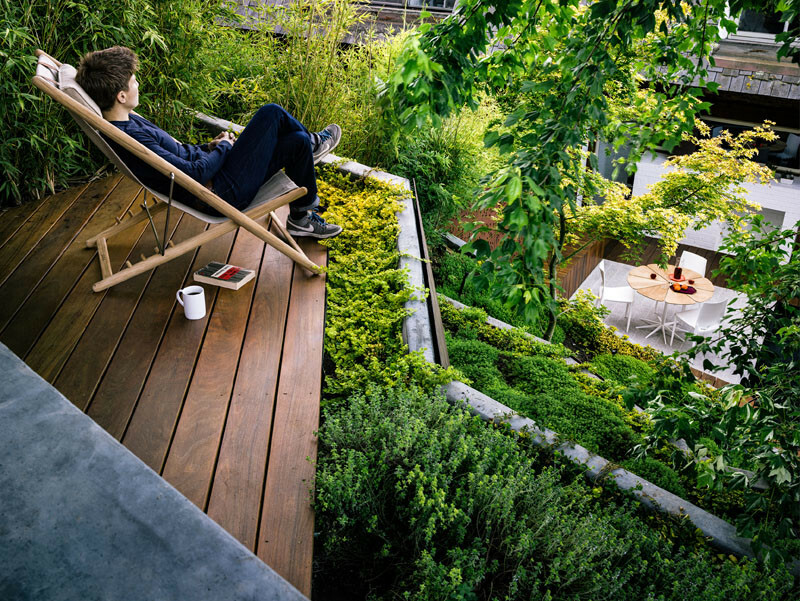 The 60 square-foot upper terrace seating area has views of the East Bay and San Francisco. 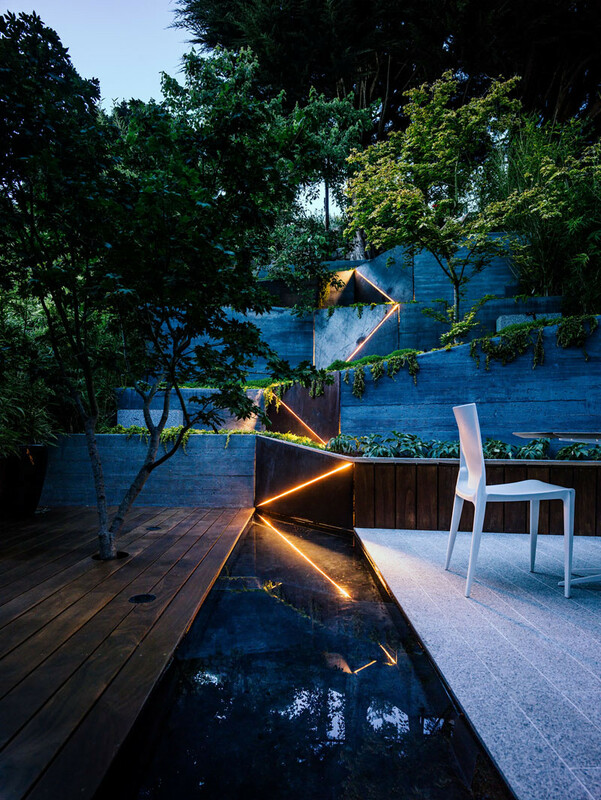 At night, the back-lit triangular steel panels with LED lights further draws your attention to the garden.